Would you like to support the GVLR? By becoming a member you will be supporting a progressive railway and its volunteers. Over the coming years, with its new purpose built 5000sq/ft Running Shed the GVLR intends to fully restore its collection of Rolling Stock. A number of the ex industrial diesels will be airbraked and used to haul passenger trains. With the acquisition of Ashover Coach No.4 and two Ffestiniog coaches the GVLR is now embarking on building a New Carriage Shed, to house more of it's rolling stock, undercover. 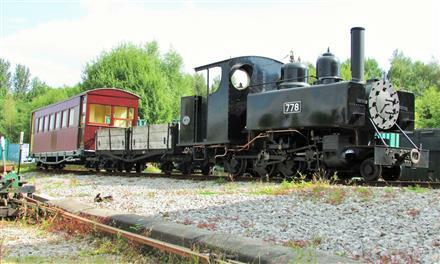 The GVLR also hopes to attract more visiting steam locomotives. Of the two steam locomotives based at the GVLR, one is in the process of being restored whilst the second has just completed it's 10 year overhaul. Our quarterly magazine "Two Foot Topics"